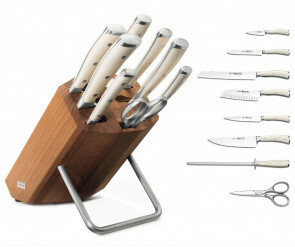 Robust, sharp and functional – the classic tool with a eccellent selection. The full bolster protects the hand, ensuring safety and a well-balanced distribution of weight. The robust handles are riveted for durability. The easy-care and non-slip plastic handle with full tang offers perfect balance and safe handling. The seamless transition between handle and blade guarantees total hygiene. Extremely easy-care, non-slip plastic handle with full tang. Forged from a single piece of high-alloy steel (X50 Cr MoV 15). The full bolster ensures comfortable handling and perfect balance. The seamless transition between handle and blade guarantees total hygiene. Double bolster for perfect balance - geometry. Laser-controlled sharpening process, PEtec, for the ultimate blade sharpness. The ergonomically shaped handles feature durable rivets and no joints. 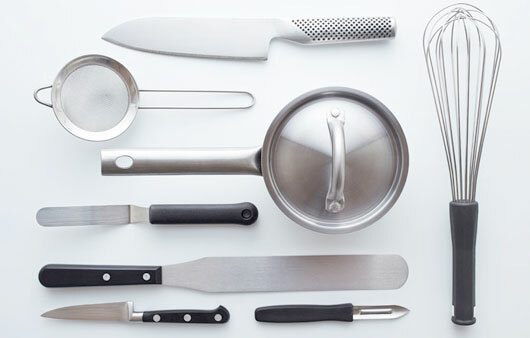 Designed by chefs and built exclusively for the tough day-to-day demands of the professional kitchen. Made in Germany, Solingen. Very unique two-stage ergonomically designed handle which is manufactured utilizing two high performance synthetic materials: The inner core is made of an advanced synthetic material to give the handle great stability for prolonged use. The outer shell is made of a softer slip-resistant material. 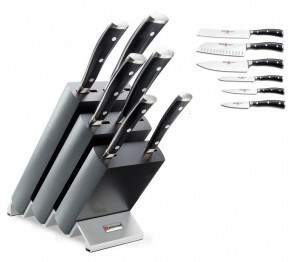 A choice of five indispensable helpers: A peeling knife, two different trimming knives, a universal knife and a pizza and steak knife. 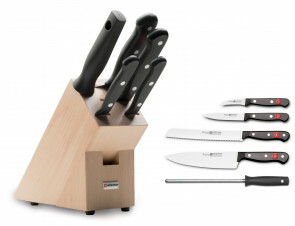 Five different blade designs (with or without serrated edge) in four trendy handle colours. 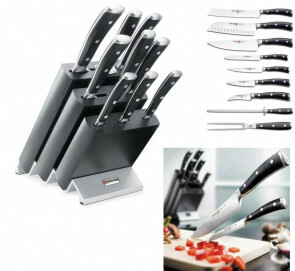 All knives are made from special stainless blade steel. 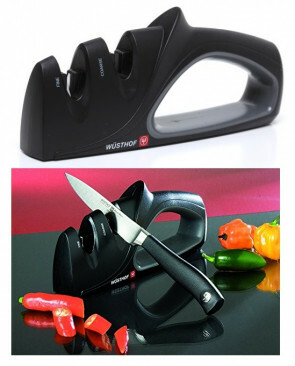 The dynamically-shaped handle has a clever ergonomic and functional design, making it great to work with. 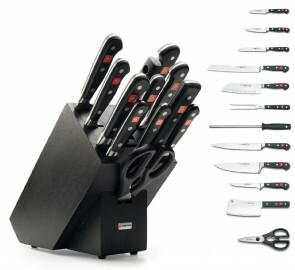 The knives are handy, hygienic, dishwasher-safe and therefore ideally suited to long-term, everyday use in the kitchen. 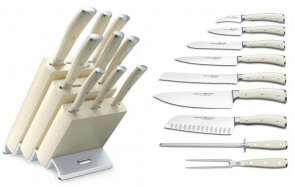 Taking good care of your WÜSTHOF - knives is of importance. When it comes to sharpening your knives we differ between honing and sharpening the edge depending on its wear and tear. 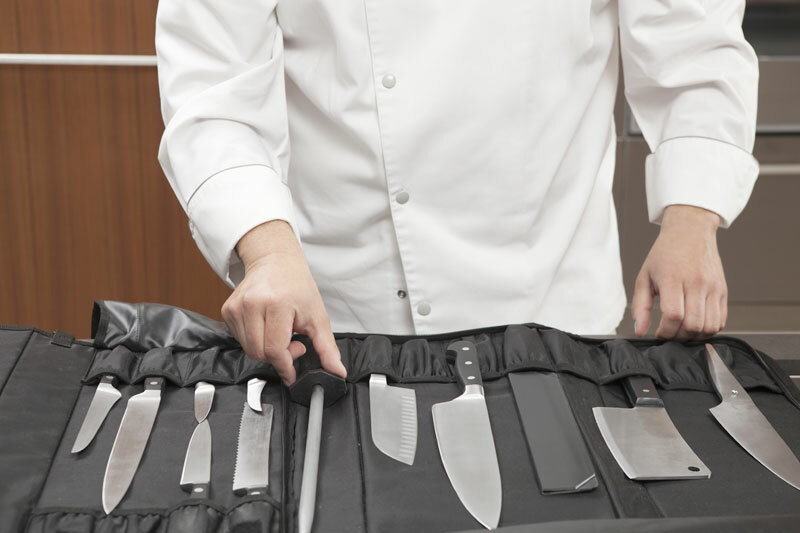 Kitchen tongs, knife cases that are complements to your precious knives.